Sport-related merchandise and Corporate Sponsorship are another pillar of IMC’s marketing expertise. Swimming Australia has trusted IMC with the development of the highly successful nationwide JX Program, and we have successfully managed the production and distribution of the packs as well. 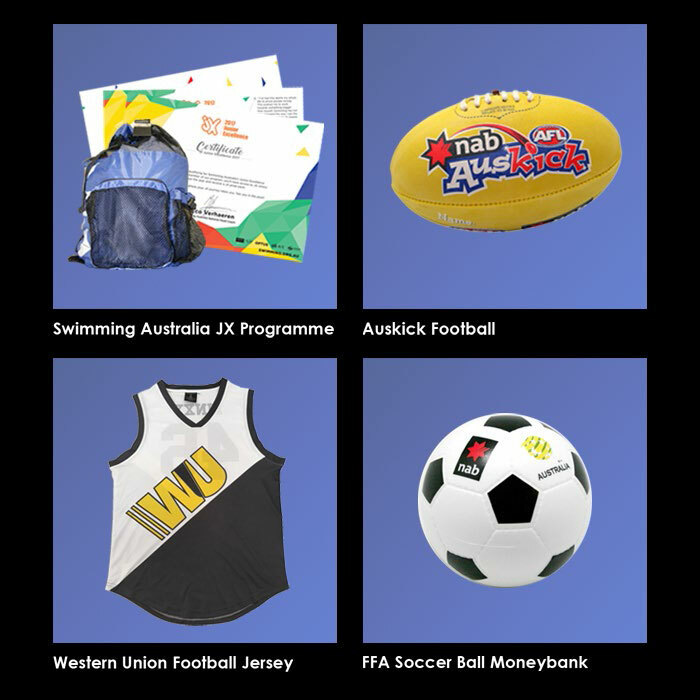 IMC also produced the uniform for corporate games of Western Union, provides merchandise solutions for the NAB AFL Auskick Campaign. We established partnerships with a wide variety of highly-valued sporting brands for co-branding opportunities.